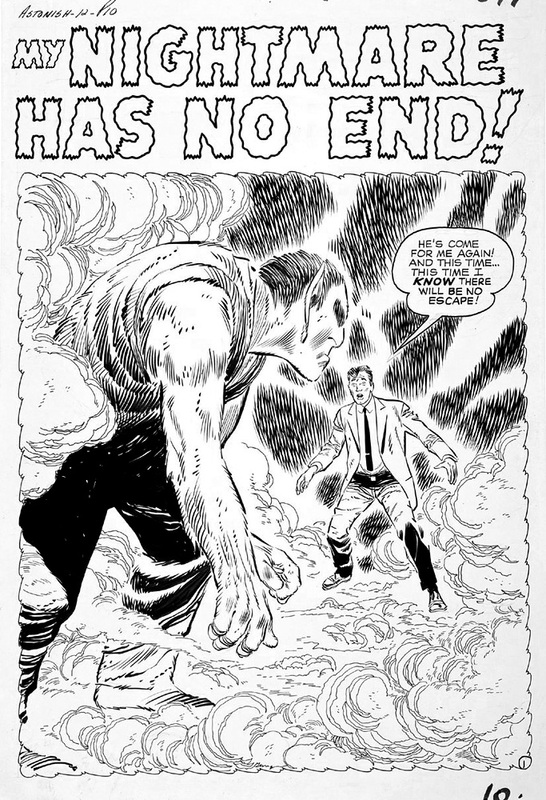 Original Marvel pre-hero splash page art by artist Don Heck from “My Nightmare Has No End” in which a bored alien traveler switches bodies with a sleeping human only to find he’s traded boredom for life in prison! Great Twilight Zone type tale. Pencils and inks by artist Don Heck.